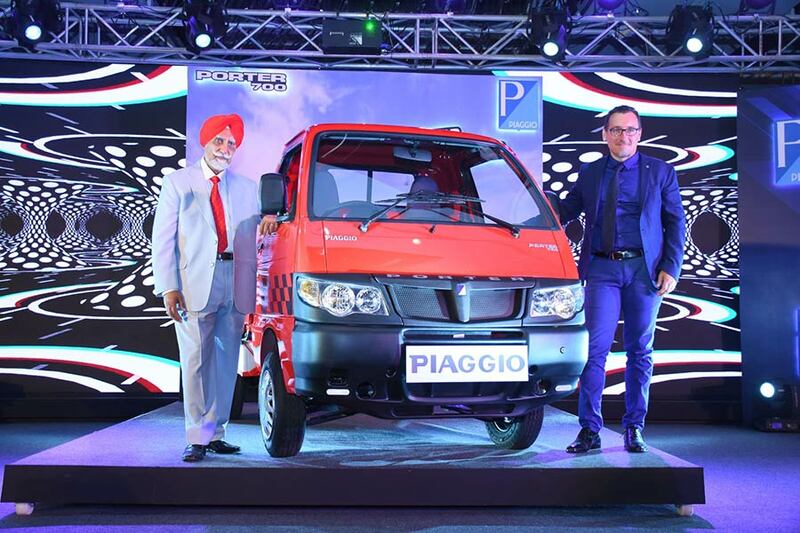 Piaggio Vehicles Pvt Ltd (PVPL), India’s leading manufacturer of small commercial vehicles has announced the launch of new Porter 700, a launch confirming its commitment to customers changing needs and Piaggio’s core philosophy of providing path breaking solutions in the last mile transportation segment. Porter 700 is a strategic initiative from Piaggio to expand its wings in the last mile transportation category through the 4 wheeler cargo market. It is a revolutionary product adapted for Indian conditions on the basis of Piaggio’s on-going customer feedback program and will further consolidate and strengthen Piaggio’s presence in last mile commercial vehicle industry. The Porter 700 incorporates the exacting high standards of Style, Design, Performance and Technology that Piaggio is known for internationally. It offers the best Mileage in its class. It has Superior Power (14.75 HP) & Torque (40 Nm), enabling superior pick up and acceleration. The payload capacity of 700 kgs and long cargo deck (30 sq. ft.) ensures superior load carrying capability. It also has Highest Ground Clearance (218 mm) in its category to negotiate bumpy ride easily. It offers superior grade ability (21%) & maneuverability which ensures driving on steep gradients including city flyovers and narrow city roads easier. This new vehicle from the house of Piaggio, comes with Stylish Italian design, it is the only vehicle with twin headlamps that adds to its superior looks and enables safer night driving experience. The 5 speed floor mounted Synchromesh gear box ensures smooth & comfortable drive. Piaggio would continue to provide technological solutions in the last mile transportation market and would focus on further strengthening & dominating this category particularly the last mile transportation cargo market. The 3 wheeles & 4 wheelers will continue to Co- Exist. for Piaggio to continue its dominance in the last mile transportation cargo segment.